If you’ve ever wanted to scream in frustration when you hear someone say, “Weight loss is just about calories in and calories out – it’s really pretty simple,” you’re not alone. Many fitness experts try to pass weight loss off as an easily attainable feat, but chances are you’re not buying their claims. If it were true, wouldn’t everyone be thin and svelte? The fact is, the “calories in, calories out” equation IS simple. If you consistently consume fewer calories than you body uses, you will lose weight. The problem is that applying this equation to real life is not always cut-and-dry. Basal metabolism – the calories burned to sustaining vital organ function. This makes up approximately 60 to 70 percent of your total daily energy expenditure, or TDEE. The breakdown and assimilation of food into usable nutrients – approximately 10 percent of TDEE. Physical activity – approximately 20 to 30 percent of TDEE. When it comes to weight loss, most fitness experts focus on burning more calories by increasing physical activity while simultaneously decreasing calories consumed. This is solid advice since the calories burned through movement are the most easily manipulated. But, if you have a sluggish basal metabolic rate, you may still find it difficult to lose weight. This isn’t because the “calories in, calories out” formula doesn’t work; it’s because you may overestimate your daily caloric needs, failing to create the calorie deficit you were aiming for. So what’s a person to do? 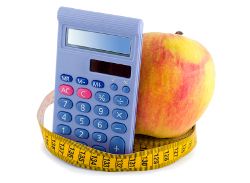 To get an accurate basal metabolic reading, you can contact a university or exercise science clinic to undergo BMR testing and receive information on your body’s current calorie needs. These tests usually cost between $30 and $100, and while they’re the most accurate way to understand your metabolism, there are formulas you can use to get a pretty good estimate. For instance, check out the FitWatch Total Daily Calorie Needs calculator to quickly estimate the number of calories you should consume to maintain your current weight. While there are exceptions to the rule, online calculators like this one are pretty accurate and offer a good place to start. So, if you estimate that your current calorie needs are 2,000 calories a day, and you want to lose a pound a week, you could increase exercise expenditure by 250 calories a day while aiming to consume a 1,750 calorie daily diet. These two changes combine to a total 500 calorie per day deficit. Here’s the problem – many people who want to lose weight are actually consuming a surplus of calories each day before they start their weight loss plan. When they hear that they have to cut 250 to 300 calories from their diet each day, they often cut the calories from their current diet. If they cut calories from the surplus they started with, they may still end up at a surplus, continuing to gain weight. Take, for instance, the person who needs to consume 2,000 calories a day to maintain her weight. If she’s been in a calorie surplus up to this point, consuming 2,500 calories a day, when she cuts 250 calories from her current diet, she’s still consuming 2,250 calories a day – 250 more calories than her body needs. Her weight gain may slow, but without major changes to her physical activity, her weight will continue to rise. 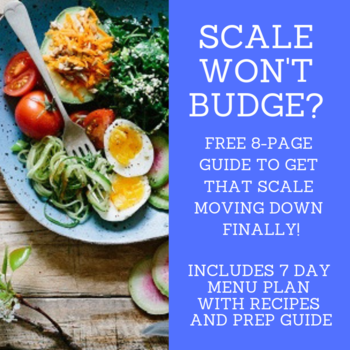 See how it’s not as simple as “calories in, calories out?” If you feel like you’re getting tired just thinking about all the numbers you’ll have to juggle to try to lose weight, take a deep breath. FitWatch provides a number of tools to help make it easier on you. For instance, check out the Calorie Deficit Calculator to determine how many calories you should aim to consume each day based on your weight loss goals. Then, set yourself up for success by tracking your calories for free using the FitWatch Calorie Tracker. Especially when you’re first starting out, tools like these can set you up for success and take the guesswork out of an otherwise confusing subject. No matter where you’re starting or how much weight you’re trying to lose, weight management is ultimately about taking charge of your health. That’s why it’s so important to do it the right way. Avoid cutting calories to the point of extreme hunger or reducing calories below the daily recommended minimum standards of 1,200 calories per day for women and 1,800 calories a day for men. These standards are in place for a reason – bodies require a certain number of nutrients in certain combinations to function correctly. If you cut calories to an extreme or fail to provide your body with the nutrients it needs to support basic functions, you’ll ultimately undermine your health and fitness goals. Slow and steady weight loss is sustainable weight loss, so set yourself up for success by aiming for reasonable, sustainable and attainable exercise and nutritional goals. Ideal Body Weight Chart - Should You Use One? Laura Williams, M.S.Ed. is a writer, entrepreneur and fitness professional with a Master's degree in Exercise Science, eight years fitness management experience and a desire to share the gift of health with others. When not writing for other publications, she dedicates her time to her own healthy-living website, GirlsGoneSporty (http://www.girlsgonesporty.com).